What is your favourite pop culture reference or easter egg in the game? Ok, so I may have cheated a little with this one. When you have been playing the game for so long there are always things you forget about. Whilst trolling through sites trying to remember what easter eggs are even in the game, I found this page which lists a fair amazing amount of them. It is actually pretty funny just reading through them, sort of like remembering old friends. However the ones I really remember enjoying at the time were all the Firefly related ones, so much so I levelled my shammy about 5 level farming for the pet. In Zangarmarsh, the engineering Grandmaster K. Lee Smallfry <Grand Master Engineer> is a reference to the character Kaylee Frye, the engineer on the show. Her dialog includes the word “shiny”, a common adjective for “good” used on the show. The non-combat pet [Captured Firefly] has the flavor text “Still flying…” which is a line from the show. During Brewfest, one of the beers you can purchase is Mudder’s Milk, which is from the episode ‘Jaynestown’. The reagent vendors in Ogri’la and the Lower City are named Mingo and Fanty, after the twins who engage Mal to perform the robbery from Serenity’s opening sequence. While these characters in turn are references to thugs from the 1955 The Big Combo, the NPCs more likely reference the former. [Strange Engine Part] and [Broken Engine Part], which are fished randomly from pools of Steam Pump Flotsam in Zangarmarsh, bear the description: “It reads ‘Capissen 38’ on the bottom.” This is a reference to Kaylee Frye’s line in the film “Serenity:” “Don’t ride in anything with a Capissen 38 engine, they fall right out of the sky.” [Strange Engine Part] starts an Alliance quest that you turn in to K. Lee Smallfry. In the Sun’s Reach Harbor, the Innkeeper Caregiver Inaara <Innkeeper> is a reference to the Companion character Inara Serra, a character portrayed by the Brazilian-American actress Morena Baccarin. Her face and outfit looks also very similar to the series’ character. And as Robin Hobb is one of my favourite authors I am going to have to check it out again because I never made the connection. I might also have to pull the books back out now that I think about it. The Black Morass, an instance in the Caverns of Time set in what is to become the Blasted Lands, may refer to Lovecraft’s “The Call of Cthulhu”, in which Inspector Legrasse, investigating reports of strange rituals in New Orleans swamplands, is described to have “plowed on through the black morass”. The design of the zone itself closely adheres to Lovecraft’s description of the New Orleans marshes. Drew loves HP Lovecraft and has always loved Black Morass. It was one of his favourite instances and always compares new ones to the love he felt. I wonder if he knew of this connection (I am sure he did) or if this is just one massive coincidence for him? I simply had no idea about the connection and it has me smiling! 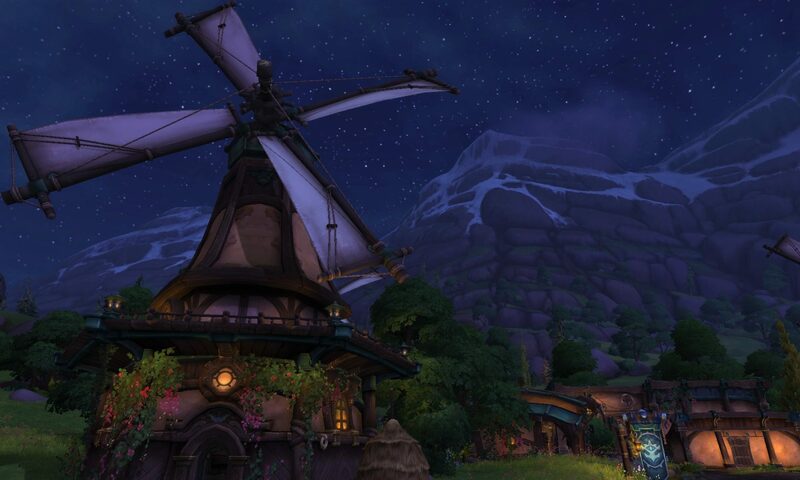 In The Deadmines, Edwin VanCleef‘s pirate ship’s location inside a cave bears a resemblance to that of One Eyed Willie’s ship. I had always felt as though that was what it was in reference to and Goonies is one of the best movies ever created (IMHO). Of course the ships don’t look the same at all but it is a nice thought either way.